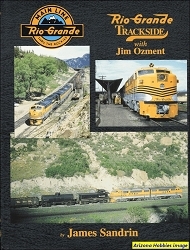 The book highlights the spectacular scenery the Rio Grande traversed. All seasons are presented and most pages have just one large photograph. A pictorial glimpse of the final fifteen years of the Denver & Rio Grande Western Railroad. 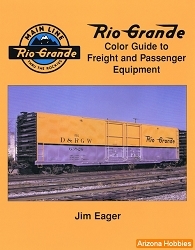 The final years of the D&RGW, between 1973 and 1988 when the railroad succumbed to a merger with the Southern Pacific, this all-color photo book consists of many historic photographs of locomotives and equipment no longer in service. 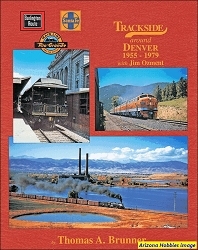 Colorado Railroad Museum, hardcover with dust jacket, 112 pages, 11 x 8.5 x .75 in, all Color photographs.